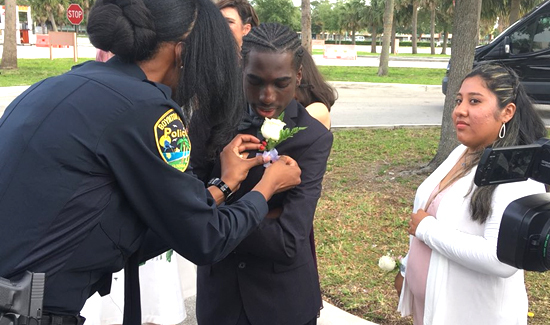 Boynton Beach police officers didn’t crash John I. Leonard Community High School’s prom Saturday night. They weren’t there to chaperone, either. Officers attended the event as the dates of several special needs students, an idea retired officer Scott Harris told CNN affiliate WPTV the department came up with so those students could have the same fun at the dance as others. Harris’ wife is a special education teacher at the high school in Greenacres, Florida. Check out the memories here.